Has humanity entered the Anthropocene? Is climate change primarily an ethical issue? Does climate change represent a moral wrong? What are the main causes of political inaction? What is the argument for climate change denial? What are intragenerational justice and intergenerational justice? To what extent is climate change an economic problem? Is geoengineering an ethically appropriate response to climate change? Featuring case studies throughout, this textbook provides a philosophical introduction to an immensely topical issue studied by students within the fields of applied ethics, global justice, sustainability, geography, and politics. 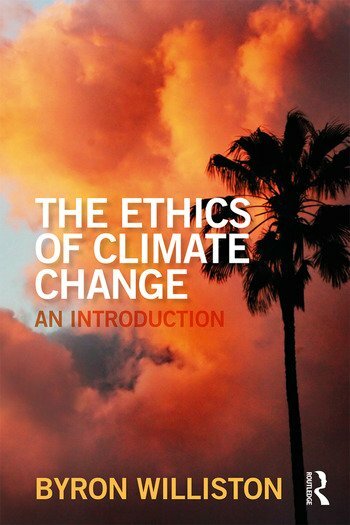 What is Climate Change Ethics? Byron Williston is Associate Professor of Philosophy at Wilfrid Laurier University, Canada. He is the author of The Anthropocene Project: Virtue in the Age of Climate Change (2015).